Last week I had a bit of fun telling you about my travels to New England. I try and post something every week, but sometimes when I’m traveling it is difficult to make the necessary time to craft a well thought out article. That’s why every once in a while I post something not related to the automation world. The job I am currently working on is a consulting and standards development project. Because of confidentiality agreements I really can’t talk about the job itself of course, but I can safely mention some aspects that I think are important. Though much of the work I am doing involves technical development, standardization and training, I see many of the same common problems crop up that are common whenever you have large groups of people from different companies trying to interface with each other. This post was originally written for my business website and posted last October. I am re-posting it here because I think the content is timely based on my experiences with this project. For this philosophy, I have cited a section from the Systemization chapter (Chapter 8) of my book on industrial automation. The emphasis in this section is that verbal communication – while sometimes more expedient than written communication – can leave concepts open to interpretation. As part of daily activities in the workplace people engage in many different forms of communication. Verbal, electronic, printed or handwritten and even non-verbal methods are commonly used. Choice of the proper method of communications is a critical part of the business process. Meetings are a major component of most business methods. They are intended to be a method of two-way communications between individuals or groups of people. All too often they end up being more of a one-way method where a presenter provides information to a group of people without much feedback. This type of meeting is often more appropriately done through a written method for two important reasons. The first reason is that meetings take more time than reading a presentation. They are also less flexible in terms of timing; they are scheduled for a specific time during which everyone must stop what they are doing and attend. So the first disadvantage is that of time. The second reason applies to more than just meetings: verbal presentations are often not documented. Sometimes an outline is presented to attendees, people may even take notes. The problem here is that there is no guarantee that the important information was received and understood by all attendees in the same way. This reemphasizes the importance of clear, written communications in business. Meetings can serve an important function: when two-way communications are needed between individuals or groups they are the most efficient way to exchange information or come to an agreement. Even here it is important to document them with written communications so that there is not later disagreement over what actually took place. Most people in larger organizations would agree that too much of their time is taken up by meetings, one way to reduce the number of meetings is to determine whether they can be replaced with written forms of communication. Conversations between individuals should also often be documented by written communications. If an important decision or instruction is not documented there may be disagreements later as to what was actually said. The statements “you never told me” or “that’s not what I/you said” should never be made if proper communication methods are chosen. With the development of technologies such as personal communication devices able to send texts or e-mails there is simply no excuse for miscommunication or misinterpretation. Especially for project-based work, documented communication between co-workers and vendors/customers is critical. I have heard it said that many people prefer face-to-face communication over phone calls or e-mails because expressions can be used to put a statement in context. While this can be true, facial expressions and vocal tone can also detract from the actual message being conveyed. For example, one may speak faster with an intense look on his face when discussing a subject he is passionate about. Because of this, people may conclude that the speaker is angry, when he may simply be trying to make a point. In my opinion, the biggest problem with verbal communication is that it does not leave a lasting impression. If you want to review what was said, unless a conversation or meeting was recorded, you must rely on memory. This is also filtered by opinions about the speaker, their expressions and style of speaking. Speakers often use an outline when making a presentation or conducting a meeting, but the actual words they use may not be well planned. Written communication, on the other hand, can be carefully thought out and crafted to make the precise desired point. When is verbal communication appropriate? Situations that involve give-and-take of information are best done orally since they can be accomplished much more quickly. Meetings where participants are exchanging ideas or comments on a subject are prime examples, but too often meetings consist of attendees listening to the speaker relay information about the status of the company or where members take turns reporting on their departments. Training sessions where the trainee needs to ask questions are another example of when a verbal meeting might be in order. Even then it may be important to have a record of what was said. An important form of written communication is e-mail. Prior to the rise of portable devices, the advantage of e-mail was that it did not interrupt the receiving party. Now, e-mails can find the receiving party wherever they are, interrupting whatever they may be doing at the time. E-mails may well be the single greatest cause of interruptions that exist in the modern workplace. People create elaborate folder systems to organize and categorize e-mails and may check their inbox up to 30 times a day. In many cases most of the e-mails in someone’s inbox fall into the “Urgent/Not Important”, “Important/Not Urgent” or “Not Important/Not Urgent” quadrants of the matrix made famous by Stephen Covey (Covey, Stephen (1994) First Things First: To Live, to Love, to Learn, to Leave a Legacy. New York: Simon and Schuster). This problem requires discipline to resolve. When working on projects, I limit my e-mail consumption and generation to three times a day: first thing in the morning, just after lunch, and before I go home in the evening. This minimizes interruptions, yet gives me time to address problems as they arise. Unlike e-mail, the telephone cannot easily be turned off. It can, however, be routed to voice mail and often should be. For key clients and co-workers I provide my cellular number so they can reach me on short notice. When doing this, I emphasize that I prefer to handle routine issues via e-mail. If I am working on a project that requires concentration, however, I route my office phone directly to voicemail, checking it at the same times I check my e-mail. What is the takeaway from this philosophy? 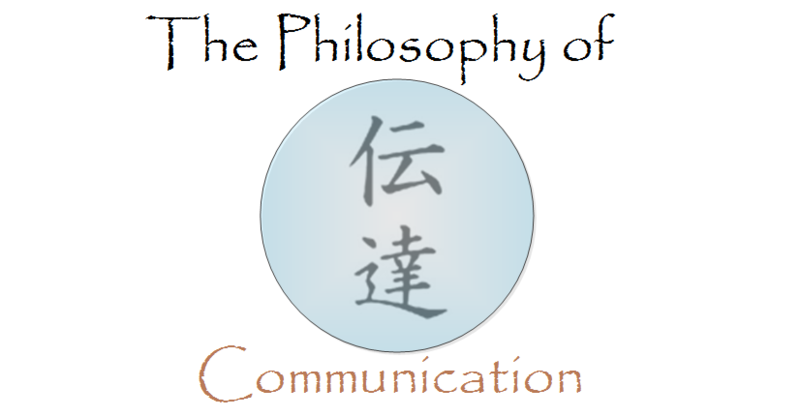 Written communication creates a lasting record of an exchange of information. Verbal communications can be open to interpretation. Meetings too often take more time than the actual reserved period. Even when it is more efficient to use oral communications, it may be important to have a written or recorded transcript or outline. Limiting the times when e-mail is sent and received can improve work efficiency. Control your phone so it doesn’t control you! Reprints of this article are available as a .pdf, leave me a note with your e-mail and I can send it if you’d like.